Together, we can inspire a generation to change this world one love offering at a time! Do you become overwhelmed with the enormity of the problems of this world? You want to make a difference, but are unsure where to begin? We have the best of intentions and then life gets busy and we get distracted. We become apathetic and self centered, living without a sense of purpose or passion. That is why I pulled together this resource. I want to give you a place to start. To equip you to move into our world with compassionate action as a catalyst for change. The Love Offering Calendar prompts you each day with a different act of service to complete with a corresponding Bible verse for 30 days. It is an intentional and selfless approach to living that focuses on the needs of others. Time spent with God and time spent serving those around us, changes the condition of our own hearts in the process. Our faith in action creates a chain reaction of full hearts and eternal impacts. What an honor that God would invite us to be a part of his mission to love people well and point them to Him. What do you say? Let’s make Earth a little more like heaven while we are here – one love offering at a time. 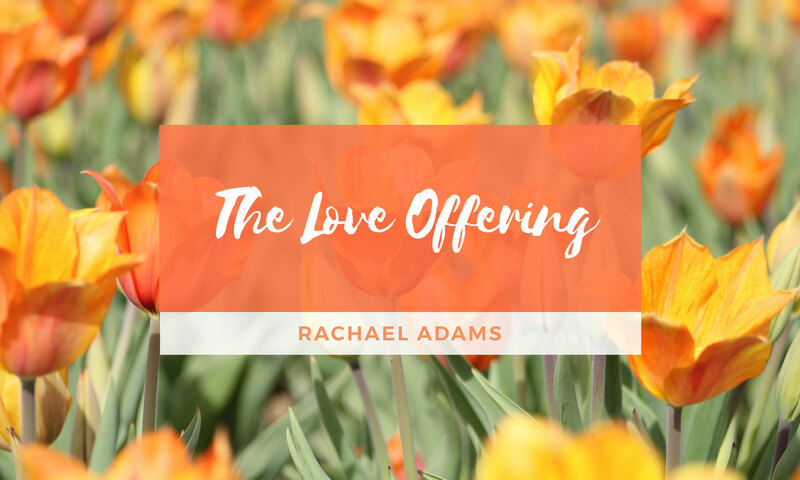 Subscribe below to have my downloadable resource, the 30-day Love Offering Challenge calendar, delivered straight to your inbox. 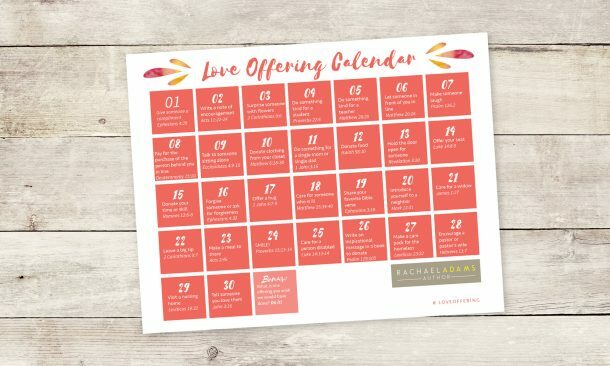 Subscribe to receive the 30-Day #loveoffering calendar!